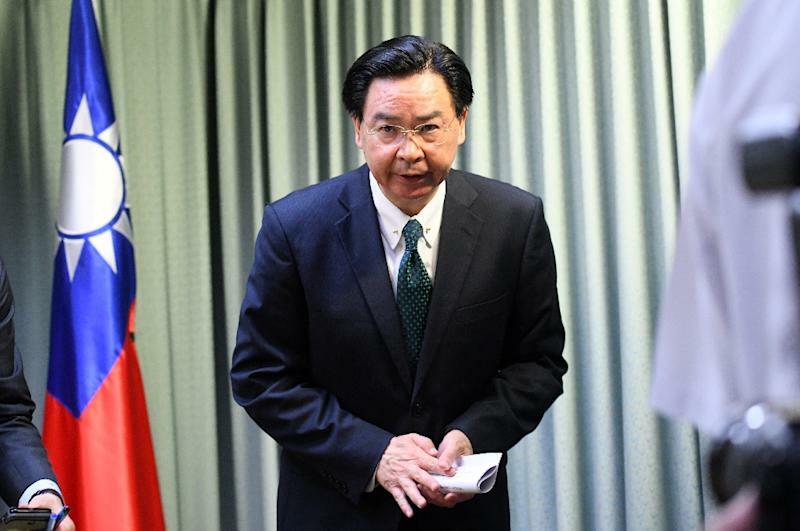 Taiwan's Foreign Minister Joseph Wu Thursday tendered his resignation after Burkina Faso announced it was breaking diplomatic ties with the island. "As a government official, I must be responsible for policies, and I have verbally tendered my resignation to the president," Wu told a press conference. Wu added that Taipei was cutting relations with Burkina Faso "to safeguard our sovereignty and dignity" and halting bilateral aid and cooperation programmes. Burkina Faso is the second country to dump Taiwan within weeks after after Dominican Republic switched recognition to Beijing earlier this month, leaving the island with only 18 diplomatic allies around the world. It was not immediately clear if Burkina Faso and China would establish diplomatic relations but Wu said it would only be "sooner or later" and that "everyone knows China is the only factor". "Why China chose now to steal our ally, everyone can see although we couldn't go into the WHA (World Health Assembly), but we are developing deeper relations with more and more like-minded countries. I believe China can see this," he said. Wu's comments came after the landlocked west African state said earlier Thursday that it was breaking diplomatic ties with Taiwan. "The Burkina government decided today to break off its diplomatic relationship with Taiwan," Foreign Minister Alpha Barry said, in an announcement that follows a string of similar moves by African states since 2000. "Since 1994, Burkina Faso has had cooperation relations with Taiwan," Barry said in a statement. "But today, changes in the world, the current socio-economic challenges facing our country and our region call on us to reconsider our position." China still considers Taiwan to be a renegade province to be reunified, by force if necessary, even though they split in 1949 after a civil war. The two have been engaged for years in a diplomatic tug-of-war in developing countries. Economic support and other aid are often used as bargaining chips for diplomatic recognition. Relations between Taiwan and China have worsened since President Tsai Ing-wen took office in May 2016 as her government refuses to acknowledge that Taiwan is part of "one China."